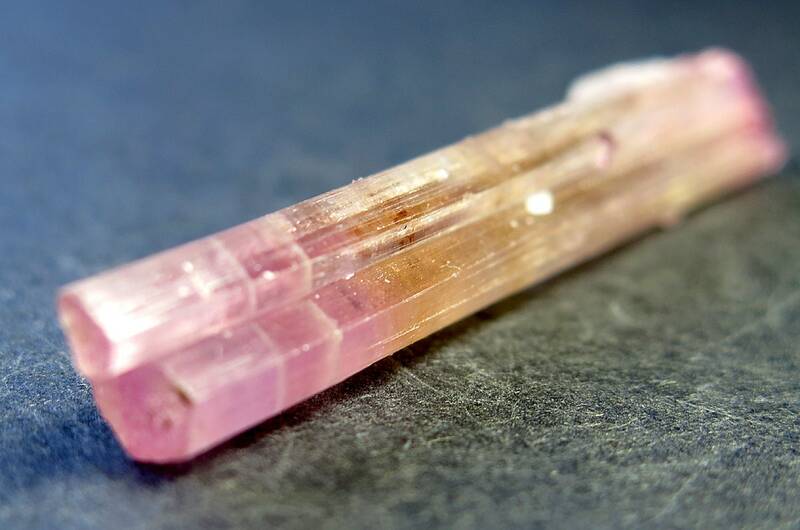 A perfect 2.75 inch Double Terminated Natural Rainbow Tourmaline Himalaya Mine, California. 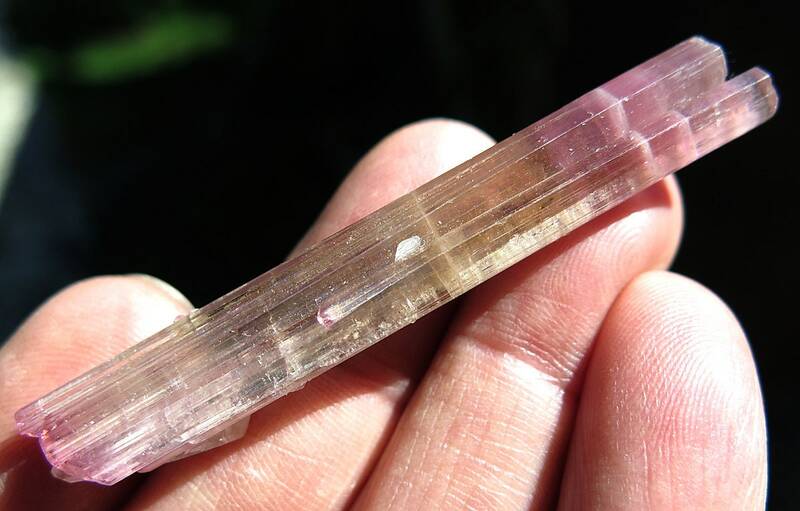 Has a DT quartz crystal at it's base. 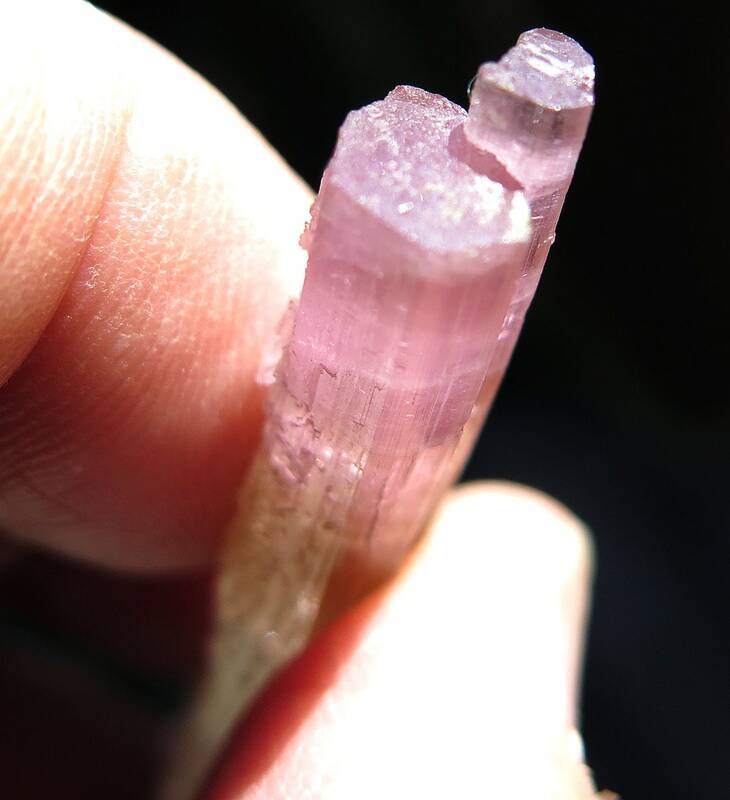 Offering a damage free 2.75 inch long old timer tourmaline from Himalaya Mine, California. Color is outstanding, pink to yellow to clear to pink. Slight natural bend to the crystal. Both terminations are well formed and complete. There is a DT quartz on back. This came out of a well known collection from 1970's. 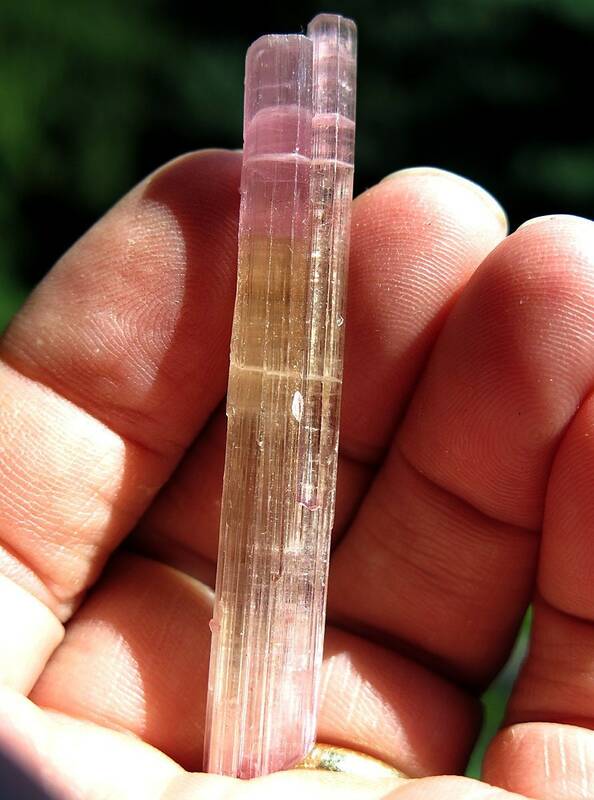 Mined at the Himalaya Mine, Mesa Grande San Diego County, California USA. I did cleaning on this crystal. 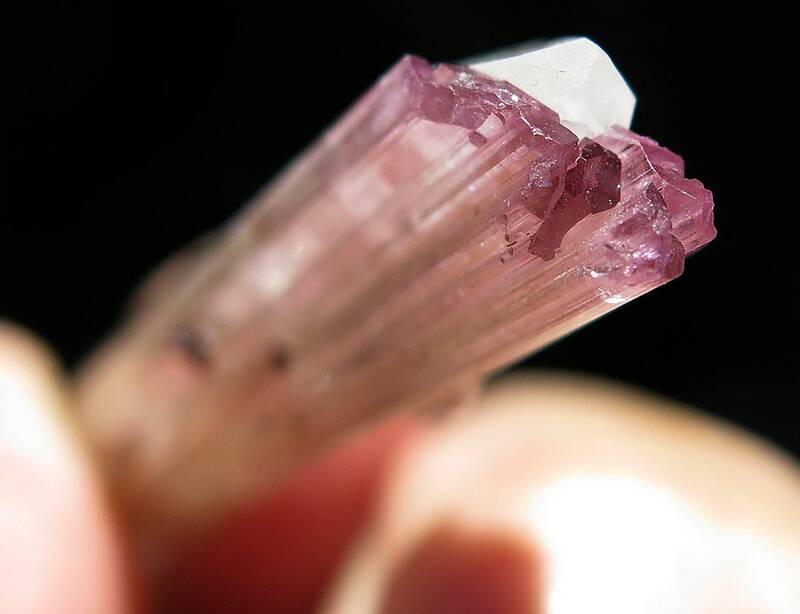 Gem healing natural high key color crystal.